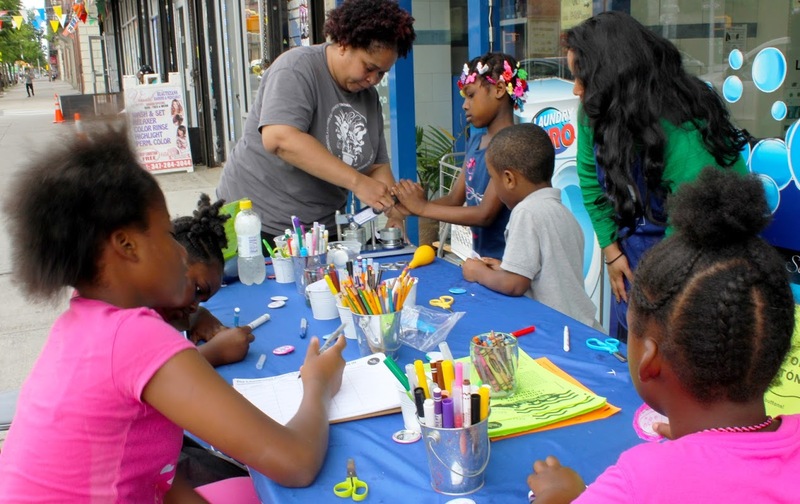 Every Tuesday and Wednesday afternoon, since March, The Laundromat Project has been offering free art workshops in front of Laundry Pro laundromat at 938 E 163rd St in Hunts Point/Longwood. These workshops are spaces of experimentation and inspiration, where people can dedicate time to work with their hands, and connect with other dimensions of their lives. 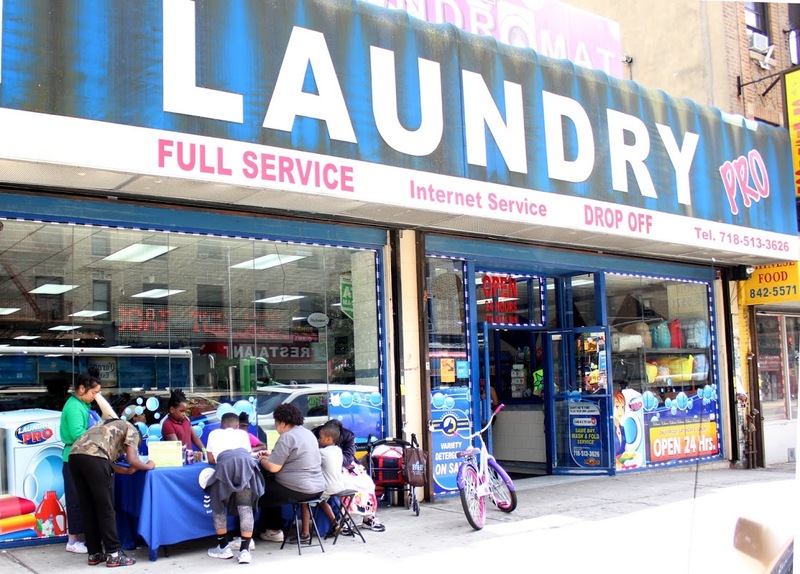 The workshops occur in front of the Laundry Pro with permission from the family owners. 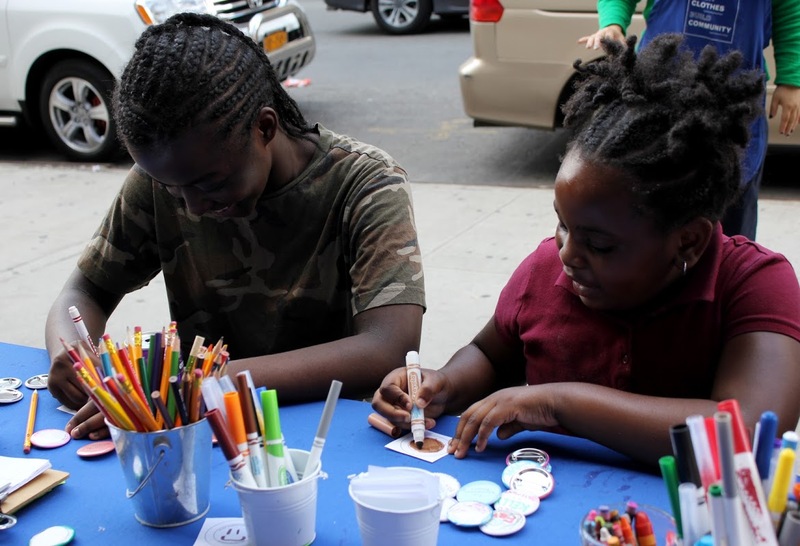 In the words of Chris, one of the business owners, he likes the sidewalk workshops and believes, “this is something that the community needs, because there are not many activities that kids can do, and they need something to keep them busy.”The kids have a little bit of fun and he loves that. 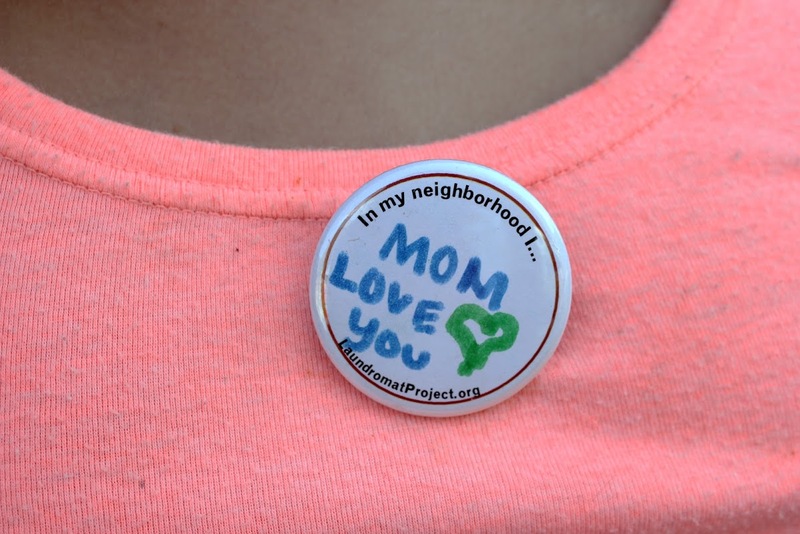 One of the activities offered by The LP at the workshops is “design your own button/ diseñe su propio botón.” It includes, but is not limited to coloring, drawing or writing on a template provided by The LP with the prompt “In my neighborhood I…,” and creating a button with the resulting image. 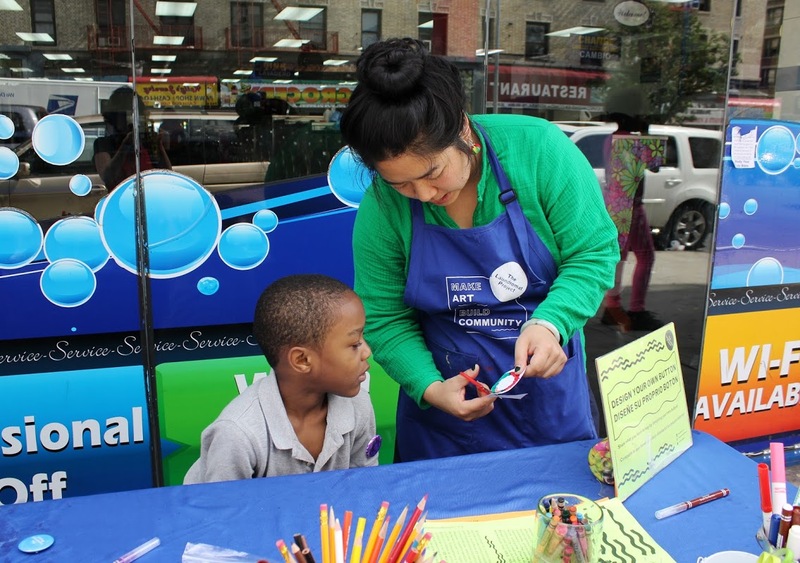 These weekly sidewalk workshops occur thanks to the collaboration of community partners like Laundry Pro, and the creativity, motivation, and generosity of our neighbors around our Kelly Street Collaborative space in Hunts Point.